The Volvo 140 series was introduced in 1966 as a replacement for the aging PV544/Duett and Amazon families, and you could get a 2-door coupe 142, 4-door sedan 144, and 5-door wagon 145. However, unless my eyes are playing tricks on me, this next one is a 143. Find this 1972 Volvo 145 Custom Wagon offered for $6,900 near Boston, MA via craigslist. We are going to get to the strange thing under the hood later, but I first want to address the number of doors. 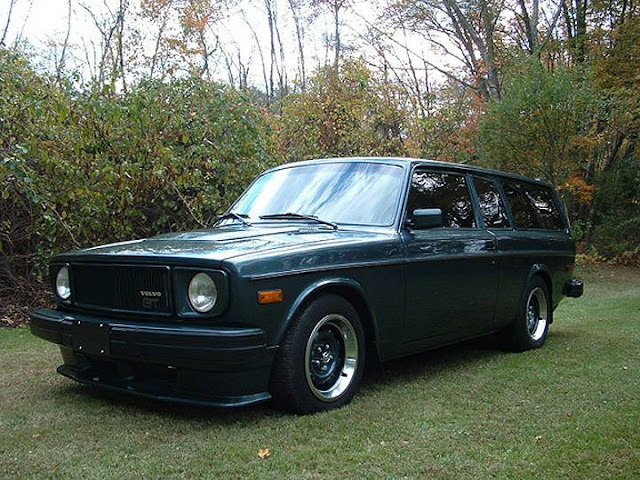 Volvo never made a 2-door wagon version of the 140, but it looks like the builder put 142 coupe doors on a 145 wagon...and it looks rad! That speed bump scraping from splitter is even starting to look good to me. 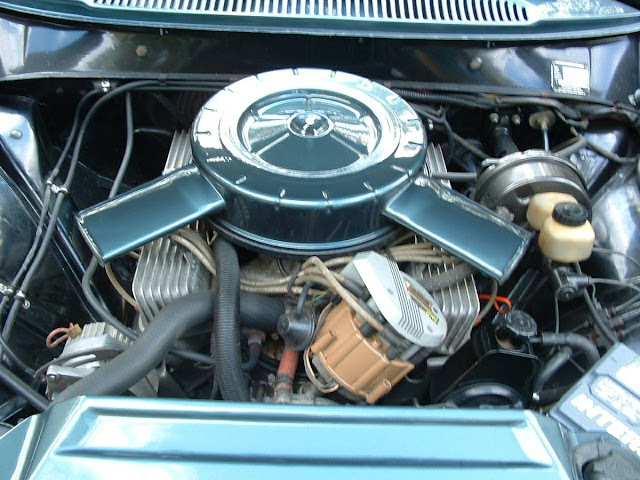 Under the hood is a 3.5 liter rover V8, which was originally known as the Buick-Olds-Pontiac 215 (BOP!) and features an alloy block and around 200 horsepower in the highest trim. The seller provides limited details about this build, but it could be a real sleeper. Oh my...WANT! The 2-door design rocks! You can get a fair amount out of the engine if you want it. Beautiful car. I question the engine choice. If someone budgets for head gasket replacement every third oil change it might be ok. I agree with you Tom. 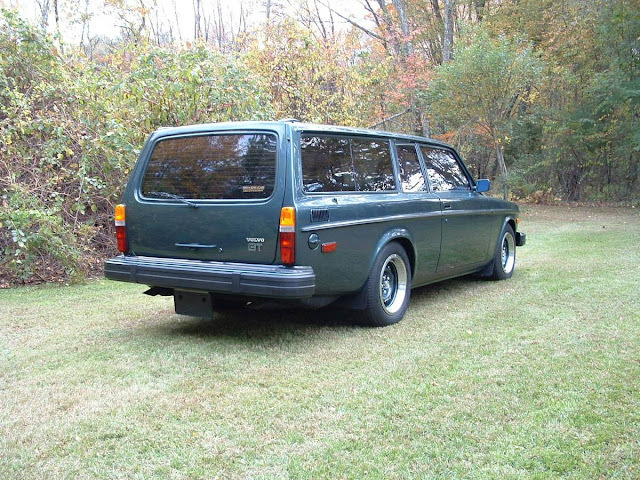 How can you not like a V-8 5 speed in a coolio Volvo wagon. But British Leyland anything under the hood would make me nervous about going on a long road trip without Edd China in a support vehicle following behind it. He did some hocus pocus on a Wheeler Dealers episode about a Triumph Stag V-8 to help fix its known problems perhaps some of those fixes could be applied to this motor? That must have been a lot of work to make the oddball door arrangement. Clearly someone had a vision (or a hallucination). Looks nicely finished. In any swap, the devil is in the details. @TomMcGuire - are these engines known to be fragile? Yes please. This is even close to me. This is super great and all credit and adulation to the builder. Truly a one-of-a-kind car. Love it. Seen one person do the same with an Amazon wagon. Sweet. Had the look of a '55 nomad. Holy shitcakes this is incredible, it has me all goofy now at that price it seems like a hell of a deal. I wonder what else is on there for suspension goodies? Would be so much fun prepped for a few days at Watkins Glen! Being the stereotypical college professor car, I suppose this would be a know-mad. Oh, and I just love this. I just sold a shooting brake Volvo and yet...here we are. What was the manufacturer for the triumph v8 anyway? I believe this car was made by DEK engineering in Duxbury, MA. I drove by it every day on the way to school for years. This was back in the early 2000's but a car like that you remember!